Here is your core download. 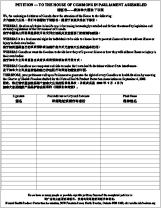 If you live in an area where multiple languages are spoken, you can bring copies of the petition pages in two or more languages. 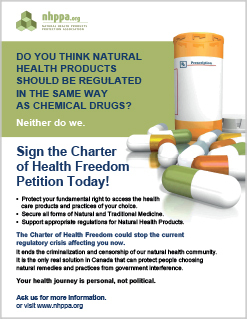 All three of the above downloads are valid submissions for the Charter of Health Freedom petition. 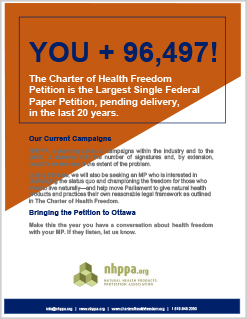 The petition for the Charter of Health Freedom already has support from more than 96,800 Canadians from coast to coast to coast. Keep your petition pages handy and have some pens available. Be sure to ask every person whether they already signed somewhere else, as we can only have one signature per person to keep the petition valid. This is the year NHPPA is seeking a Member of Parliament to champion the Charter of Health Freedom Petition, which will allow the Charter to be formally presented to Parliament. 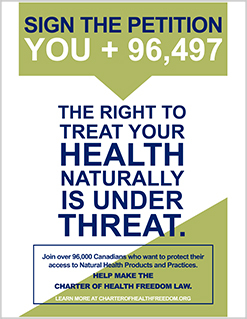 The petition serves as strong evidence that Canadians want the Charter enacted as law. Do not write anything else on the page, the wording must not be altered in any way. Only one signature per person. The signature count must be from unique individuals to be valid. The person’s printed name must accompany their signature. A postal address consisting of at least city and postal code is paramount to prove the signatory is a resident of Canada. Many people will ask why you want them to sign a physical, paper petition. The explanation is here. 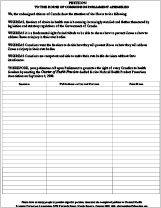 This imperative information handout is designed to explain how the Canadian government handles petitions, how this petition stacks up to others, and to answer some frequently asked questions. “NHPPA fought to have the NHP Regulations repealed for over a decade. 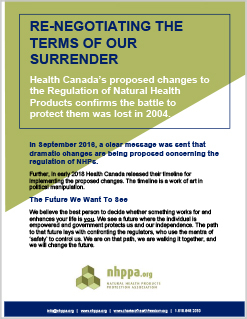 Why are we now “surrendering” to the existing regulations?” This handout is an outline of the most salient points from Shawn Buckley’s 2018 discussion paper, which explains the current proposed Repeal of the NHP Regs. Start the conversation about the Charter of Health Freedom with our posters, designed in two sizes to best suit your available space and printing budget. The smaller posters can be printed on a home printer but please consider emailing the larger .pdf to a local print shop for maximum effect. This might include your place of work, your school or your childrens’ school, at family events, at your gym or your house of worship. This might include a sporting event, concert, community event, or a local fair. 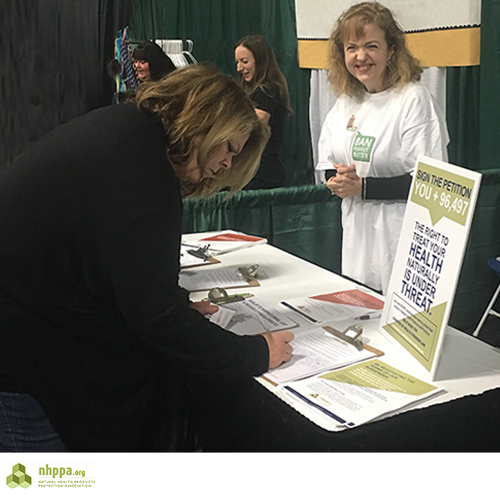 This might include a Health Show, like the Victoria Health Show, where Shannon collected 272 signatures in one weekend! Download our one-page review of The Charter Petition. Download our one-page review of the Repeal of the NHP Regs. 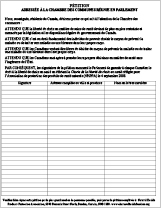 Download an 8.5×11 or 12×18 Petition Station Poster. Email NHPPA at info@nhppa.org for support! We want to help. We are happy to send you the materials required to set-up a larger petition station. 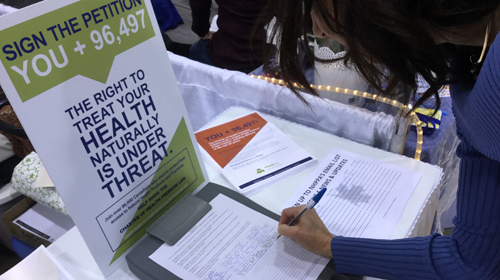 Use materials like our one-page review of the Charter Petition and our one-page Review of the Repeal of the NHP Regs to help educate those who stop by your petition station.